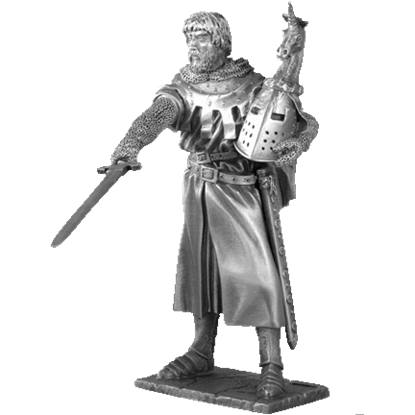 The pen is mightier than the sword, they say, but only a sword can slay dragons. 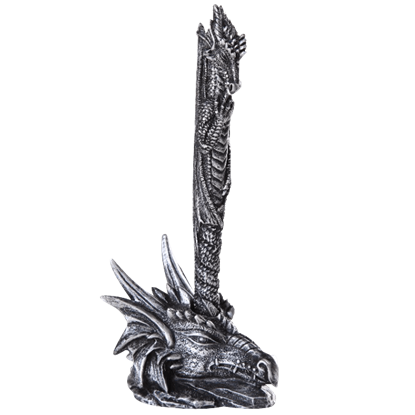 To beat the sword now, the pen must go one level higher and become the dragon, and that is exactly what has happened with the Dragon Pen and Holder. 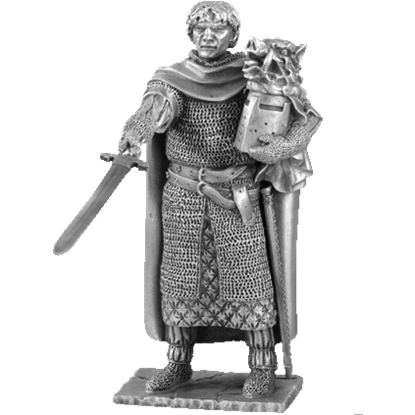 This replica of King Arthur and his Knights of the Round Table are magnificent in detail and clarity. 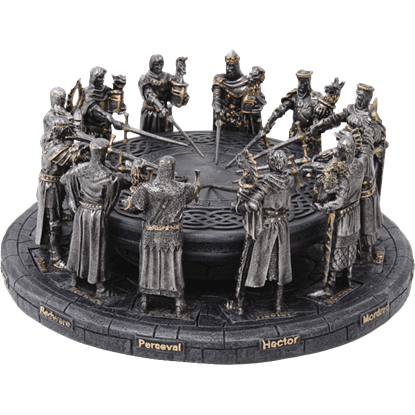 This is complete set of the Knights of the Round Table which includes the table, pewter chairs and medieval sculptures. 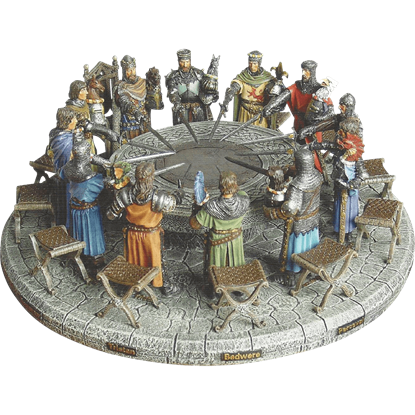 Inspired by the historic tales of King Arthur and his heroic order of knights, the Hand Painted Knights of the Round Table Display depicts the legendary King and his knights congregating around the legendary round table. 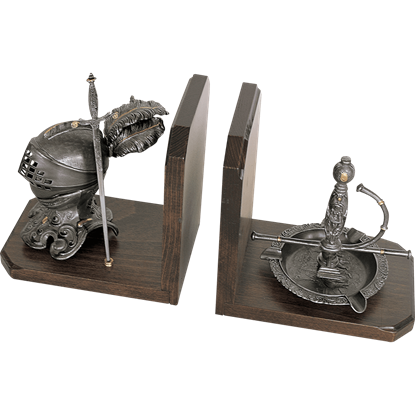 A fantastic accent for a desk or shelf, the Heraldic Knight and Sword Bookends bring a distinct air of Renaissance styling to any room in which they are displayed, making them a wonderful way to display your historical interests. 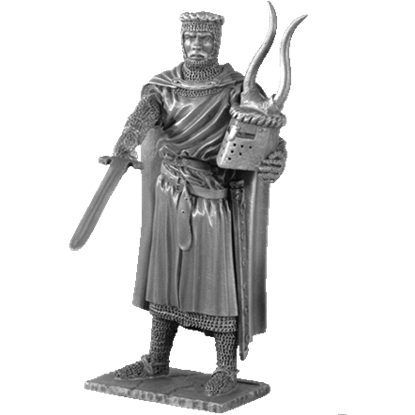 If you are a fan of medieval fantasy, then the elegant Knights of the Round Table Statue is for you. 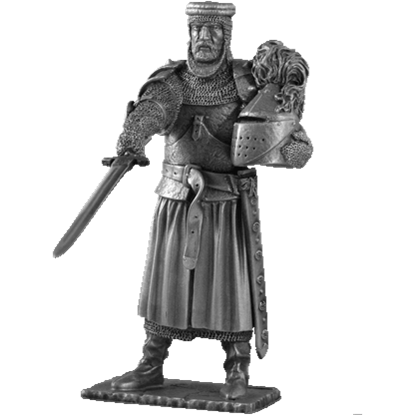 This subtle model captures the spirit of equality and nobility that can easily accent any room within your home or office. 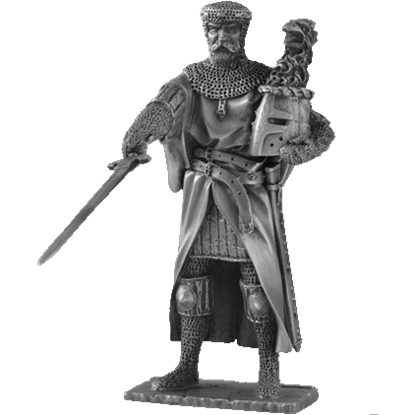 One of the most famous legendary figures in all history, King Arthur remains prominent in pop culture. 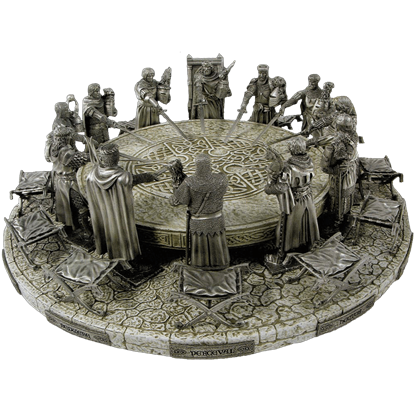 The Knights of the Round Table Statue depicts Arthur and his knights as they cast their swords toward the center of the table. 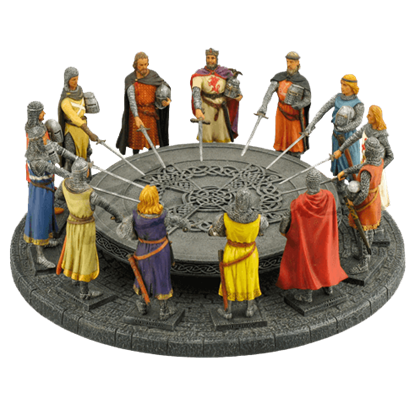 This replica of King Arthur and his Knights of the Round Table is magnificent in detail and makes a fine centerpiece and conversation starter. 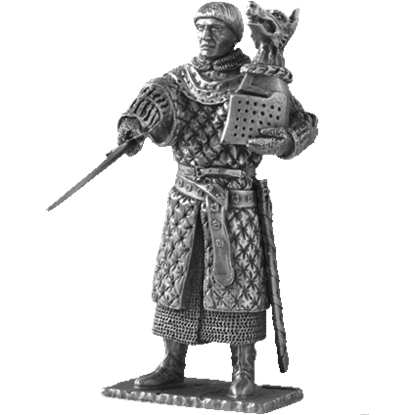 The Knights of the Round Table pewter sculptures are accompanied by chairs.